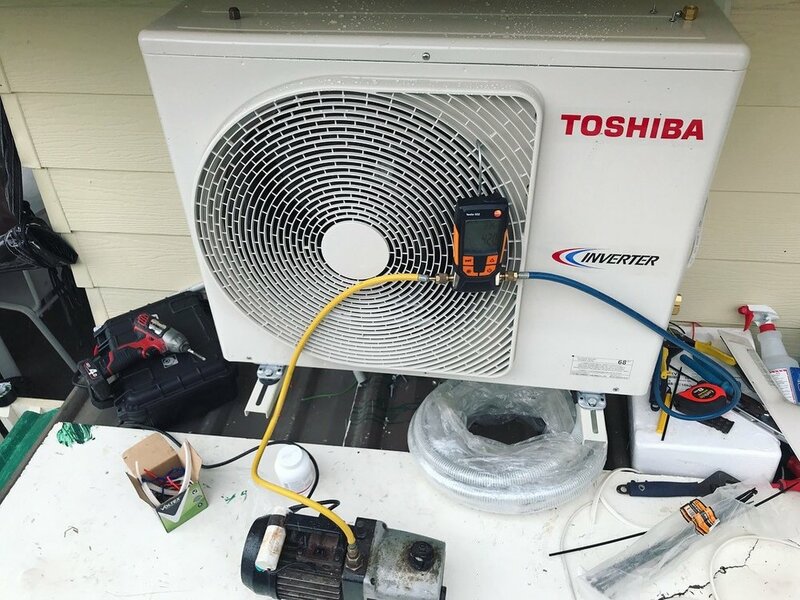 Affinity Electrical Services has over 15 years of experience with Air Conditioning Installation, and we understand just how important it is to have good quality air conditioning on the Gold Coast. We work with you to ensure that the right sized unit is installed for your space. Through doing this, we help you to ensure you have the most cost efficient way of heating and cooling your Gold Coast home. 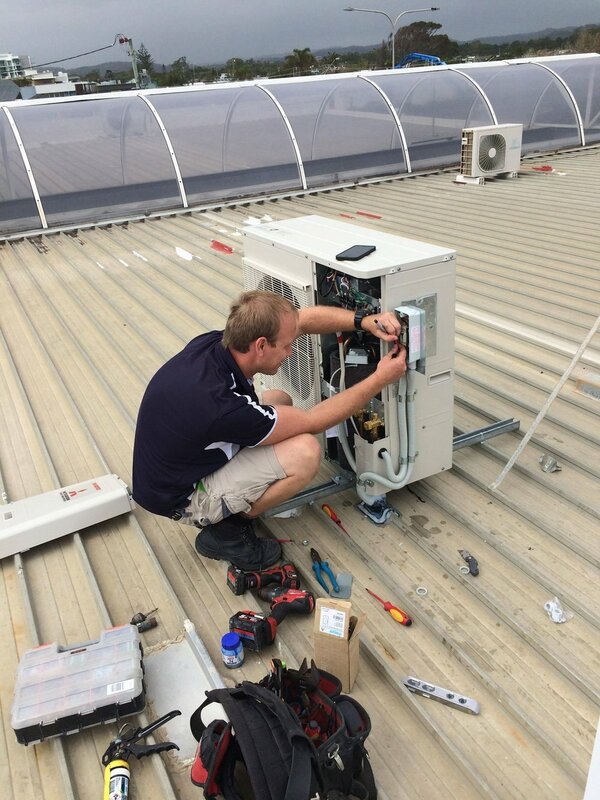 Our air conditioning technicians are very experienced with installation of wall mounted split system units. 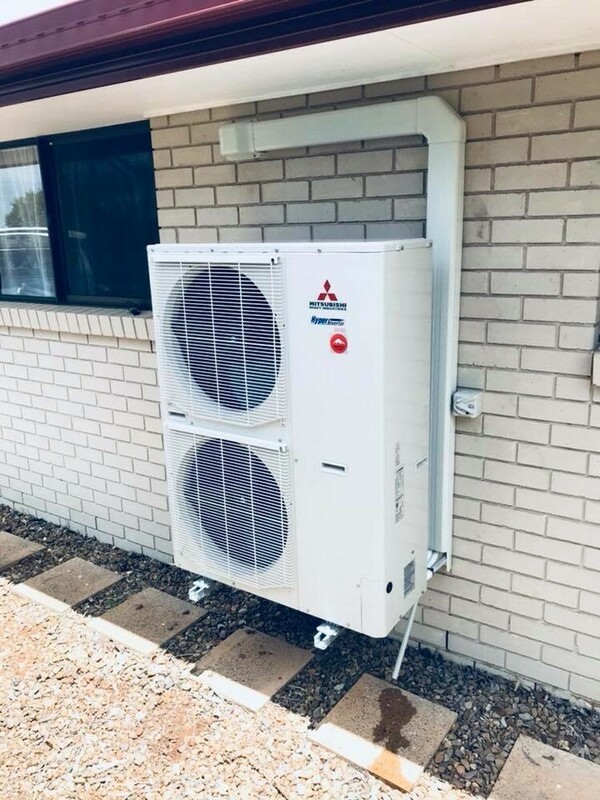 We recommend Mitsubishi Heavy Industries units however can access and install all brands. We take care of the supply and installation, as well as removal and safe disposal of old units if required. visually appealing option with ceiling mounted vents while being quiet while it works. Ducted air conditioning can also tend to be the most cost effective way to cool your entire home, with the ability to use controlled zoning areas so that you can heat or cool the areas that you need. You want to know that your air conditioning units are ready to work when you need them, and will do so in the most efficient way. Through regular servicing and maintenance on air conditioning units, you can feel secure in the knowledge that your home will be perfectly air conditioned for many years to come. Our experienced team service all Gold Coast suburbs. We take great pride in our workmanship and strive to ensure work is completed in a cost effective, high quality way that will provide long term solutions for you. Contact us now on 0407295569 for an obligation free quote.